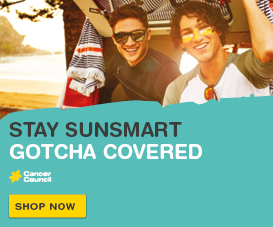 It’s back-to-school time and Cancer Council Queensland is lifting the lid on lunchboxes, encouraging parents to prioritise healthy options to boost their kids’ brain power, and keep them healthier and happier. 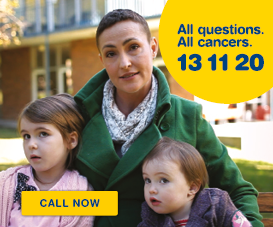 Cancer Council Queensland CEO Ms Chris McMillan said that by packing a healthy lunchbox, parents and guardians would be ensuring they were providing their kids with the fuel they need to learn and grow. “There is an abundance of medical and nutritional evidence proving that children and young people who eat nutritious meals every day and lead active lifestyles tend to excel,” Ms McMillan said. One in four Queensland children are overweight or obese. Overweight children are at high risk of becoming overweight adolescents and adults, placing them at greater risk of developing chronic diseases, such as some cancers. “Balancing the weekday lunchbox can be a difficult task, when you’re living busy lives, but it’s an important one,” Ms McMillan said. The Australian Dietary Guidelines recommend children (over nine) aim for two servings of fruit and five servings of vegetables every day. “One serve of fruit is a medium-sized apple or banana and a serve of vegetables could be half a cup of carrot sticks or a handful of cherry tomatoes,” Ms McMillan said. The Guidelines also recommend daily servings of grains (wholegrain bread, wholemeal pasta, brown rice), lean meats and alternatives (fish, eggs, legumes/beans, nuts and seeds) and dairy foods and their alternatives. “Why not try packing a wholemeal egg and salad sandwich, carrot sticks and hummus, and a small container of natural Greek yoghurt with berries?” Ms McMillan said. Parents are also encouraged to use the Health Star Rating Scheme when shopping to ensure any packaged goods placed in a lunchbox are the healthiest possible. The Health Star Rating Scheme features ratings from half a star up to five stars and includes nutritional information about saturated fat, sugar, sodium and energy content in food products. 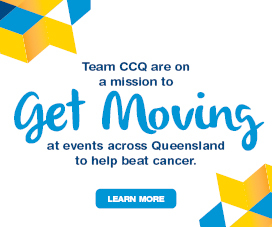 More information about Cancer Council Queensland, and healthy living, is available via cancerqld.org.au. Freeze fruit like grapes and cut up oranges for a yummy, refreshing snack.